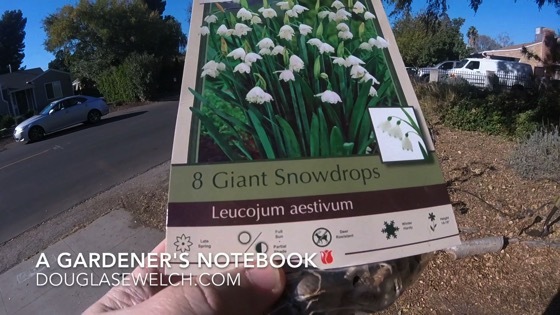 The last of the leucojum bulbs go in the ground, finishing this year’s bulb planting…unless I spy something on sale before the rains come. (Ser. Categorized under: Bulbs, In the garden, Nature/Outdoors, Plants, Podcast, Show, Video.